Hola! I hope that you lovelies had a fab weekend! Today’s muse is the beautiful belated Marpessa Dawn, also known as Gypsy Marpessa Dawn Menor she was an American-born French actress, singer, and dancer. 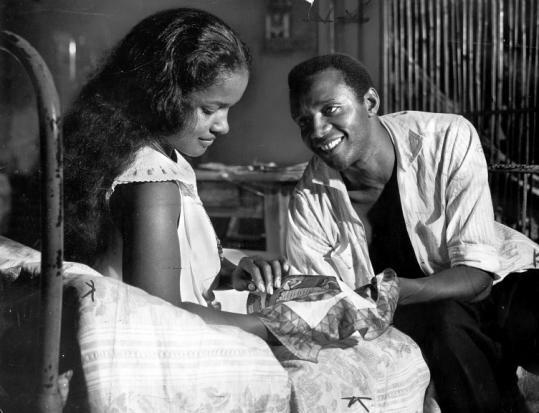 Born in Pittsburgh, Pennsylvania of African-American and Filipino heritage and best-remembered for her role as “Eurydice” in the film Black Orpheus. I remember reading the book either in high school or college, as well as saw the movie. It is a must read/see if you are into the mysteries of Greek mythology mixed in with Afro-Brazilian history and wonders. Nonetheless she was a gorgeous and talented women in which whose legacy will leave on. She passed away in 2008 at the age of 74 in Paris. Much love! I had never heard of Marpessa Dawn. Thanks for the information. It’s always inspiring to hear stories about black and African-American women who are accomplished trail blazers.